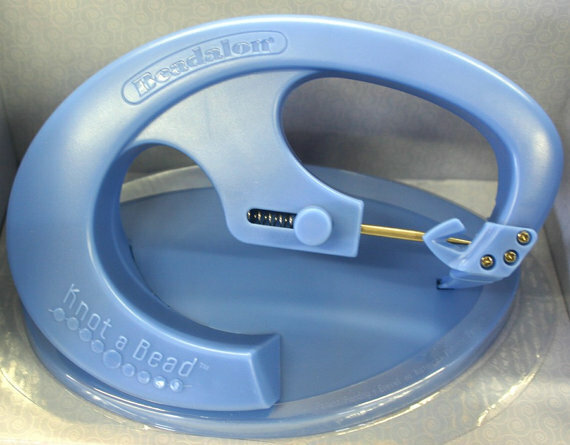 Now you can easily and quickly knot beads with the Beadalon Knot-A-Bead, Tabletop Knotter Tool. Specially designed to offer two hand knots between beads, this knotter tool gives professional-quality results every time you knot beads. Ideal for experts and beginners alike, this tool is ergonomically designed with a yoke and stainless steel auto-reset awl for accurate positioning of knots. It works well with a variety of bead stringing materials and different shapes of beads up to 16mm in diameter, approximately.